Mazlaya is an island around the seas of the Rothlyt Sound and the Sea of Jade, at the mouth of the Yugr'am River. 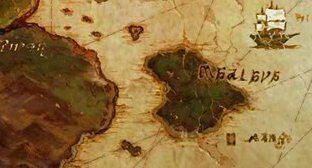 It's located south of the island Pearl and east of the region of Paglth'an. Not much at all is known about the island.